The Meiji Restoration was the historic change from the feudal system of the Edo Shogunate to the system of direct Imperial rule by the Meiji government through the overthrow of the Shogunate, and the accompanying series of wars (the Boshin War) and reforms. 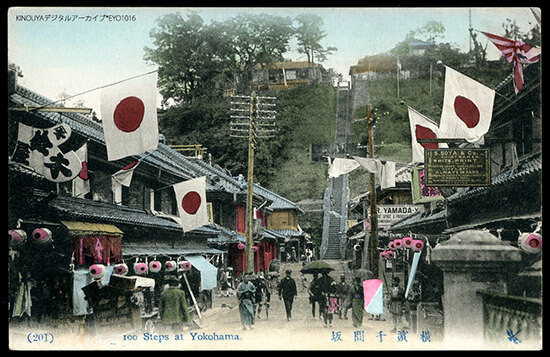 The restoration affected all areas of life, such as the organization of the central government, legislation, the Imperial court, the class system, the local administration, the distribution system, industry, education, diplomacy, and religious policy, and effectively converted Japan into the first Western-style modern state in Asia. Although there are various theories about when the Meiji Restoration started, the official date is October 23, 1868 (September 8, 1868 of the lunar calendar). However, the Meiji Restoration generally includes Taisei-hokan (transfer of power back to the Emperor) and Osei-hukko (the restoration of the Imperial rule) which started in 1867 (according to various academic studies of the Meiji Restoration in Japan, it includes the late Edo Shogunate period (after the Tempo reforms or the Perry Expedition) as the first part of the Restoration, but some political situations prior to the Restoration are mentioned in the article of "Bakumatsu" (the end of the Edo Shogunate)). There are also various theories about when the restoration ended, and it may have continued until Haihan-chiken (abolition of feudal domains and establishment of prefectures) in 1872, until the end of the Seinan War in 1877, until the inauguration of the cabinet system in 1885, or until the establishment of constitutionalism in 1889. The government of this period (generally, the government born after Osei-hukko (the restoration of the Imperial rule in January 3, 1868)) is commonly called the Meiji government, the new government, or the restoration government. Since the Meiji Restoration was implemented arbitrarily by the Satsuma clan, the Choshu clan, and some court nobles, it was sometimes derisively called "a clan dominated government," but it cannot be said that a couple of powerful clans led this restoration because a considerable number of Tokugawas and former retainers of the Shogun were hired as the middle or upper levels of the bureaucracy. In addition, it was after the beginning of the Showa period that the term "Meiji Restoration" (Meiji-ishin) became commonly used. Until then, it had been called the "Restoration" (Goisshin), mainly referring to Haihan-chiken (the abolition of feudal domains and establishment of prefectures) and Taisei-hokan (transfer of power back to the emperor). People in foreign countries thought it a miracle that Japan organized a modern state mostly on their own in such a short period and built a country which had almost the same power as any Western European country, and it served as a model for the modern revolution especially for other Asian countries. Emperor Meiji, who became the symbol of this revolution and the constitutional monarch for the first time in Asia, is sometimes more valued in foreign countries than in Japan. The aim of the Meiji government, which was created by the restoration of Imperial rule after Taisei-hokan (transfer of power back to the emperor) from the Edo Shogunate, was to establish the basis of direct Imperial rule by the emperor by the abolition of the Shogunate and the positions of Regent and Chief advisor to the emperor, and to investigate ways to reform and catch up with foreign countries (mainly, powerful countries in Western Europe and North America). This aim was expressively stipulated in the "The Five-Articles of the Imperial Covenant" (Gokajo no Goseimon) legislated in 1868. In this oath, the government stipulated the use of a collegiate body system, the creation of a state in cooperation with bureaucracy and the private sector, the breaking of old habits, and the fostering of power to equal with foreign powerful countries. Also, "Fukoku Kyohei" (enriching the country, strengthening the military) and "Shokusan Kogyo" (encouragement of new industry) were often used as specific slogans in order to achieve this goal. Formally, the Meiji Restoration was the restoration of the Ritsuryo system, the Japanese historical law system based on Confucianism and Chinese Legalism. The new government, which needed to establish a centralized government quickly after the feudal system of the Shogunate collapsed, restored job titles and names of government offices following the Ritsuryo system (such as Dajokan [Grand Council of State] and the Ministry of Finance. Naturally, the actual work of the given titles was substantially different from that under the Ritsuryo system). 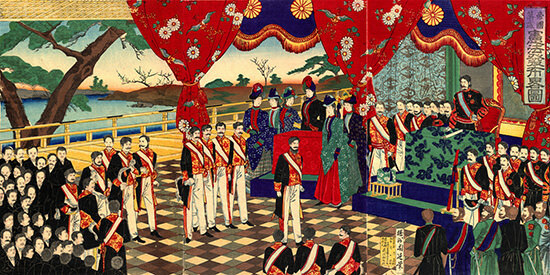 On the occasion of Osei-hukko (the restoration of Imperial rule in Japan), the new government abolished the Shogunate, the positions of Regent and Chief Advisor to the emperor, provided direct Imperial rule, and established a central government organization consisting of a president, a chairman (Gijo), and a councilor under the control of the Emperor. However, because Emperor Meiji was a youth at that time (in fact, direct Imperial rule was still just a theory), a system to assist the Emperor was needed immediately. Therefore, on June 11, 1868, the "Japanese government organization" law was issued (the Constitution of 1868), and the next year a system of two departments and six ministries, which was modeled on the Ritsuryo system of two departments and eight ministries, was set up. Although the government copied the Ritsuryo system, which had Dajokan (Grand Council of State) and Jingikan (the Officer in charge of the Shinto ceremony) as specific administrative organizations, the system was unstable because it needed continuous reforms thereafter, such as dividing the Ministry of Industry from the Ministry of Popular Affairs, and changing the Ministry of Criminal Punishments to the Ministry of Justice. Moreover, the Council of the Left (later, the Chamber of Elders) and Right, which were the legislature, and the Council of the local officers were repeatedly established and abolished. The reform of the organization of the central government was finally settled by the inauguration of the cabinet system in 1885. Also, as far as the legislation was concerned, Takayoshi KIDO and others had insisted on the establishment of the Diet since 1868. However, it was too early to establish the Diet because the reform of the organization of the central government, the cultural level of the people, and national education were still immature, and due to the Saccho (Satsuma and Choshu) clanship a bureaucracy centered system called "Yushi-sensei" led by Toshimichi OKUBO was maintained. Yet, due to the rising tide of the Freedom and People&apos;s Rights Movement, and the maturity of the reform resulting from the organized systems, the "Imperial edict of establishment of the National Diet" was finally submitted in 1881. At the same time, the movement for the formulation of the constitution led by Hirobumi ITO began in earnest as a premise to the Diet system, and then the Privy Council was established to discuss the constitution. 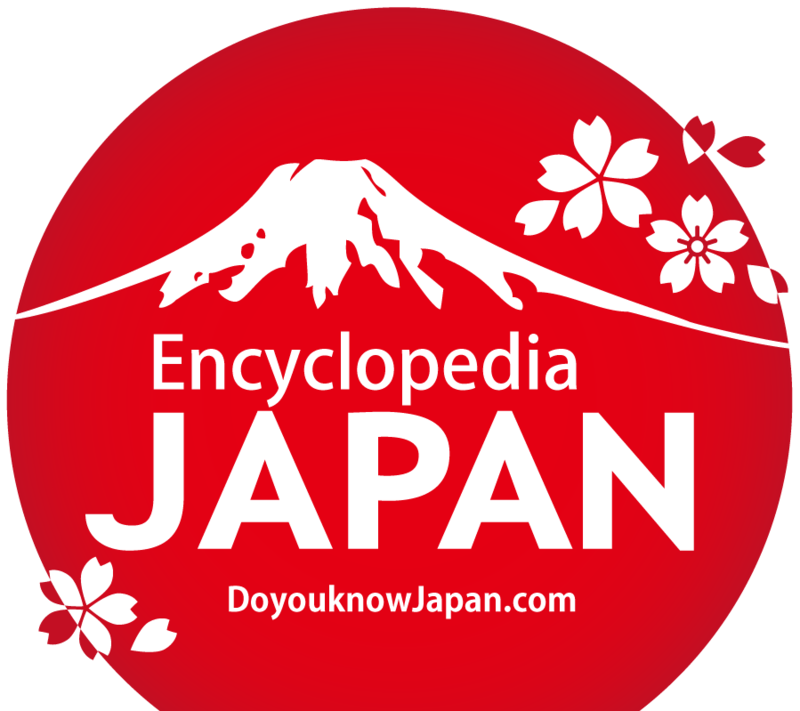 The Constitution of the Empire of Japan was issued in 1889, and the Imperial Diet was inaugurated the next year. Thus, a constitutional monarchy and parliamentary democracy was completed for the first time in Asia (precisely speaking, the Midhat Constitution in 1876 of Tanzimat Reform in the Ottoman Empire was the first Asian constitutional monarchy, but the country returned to a monarchy in the same year). In addition, Toshimichi OKUBO insisted at first that the capital should be transferred to Osaka as there were many old-fashioned customs related to the old regime in Kyoto. 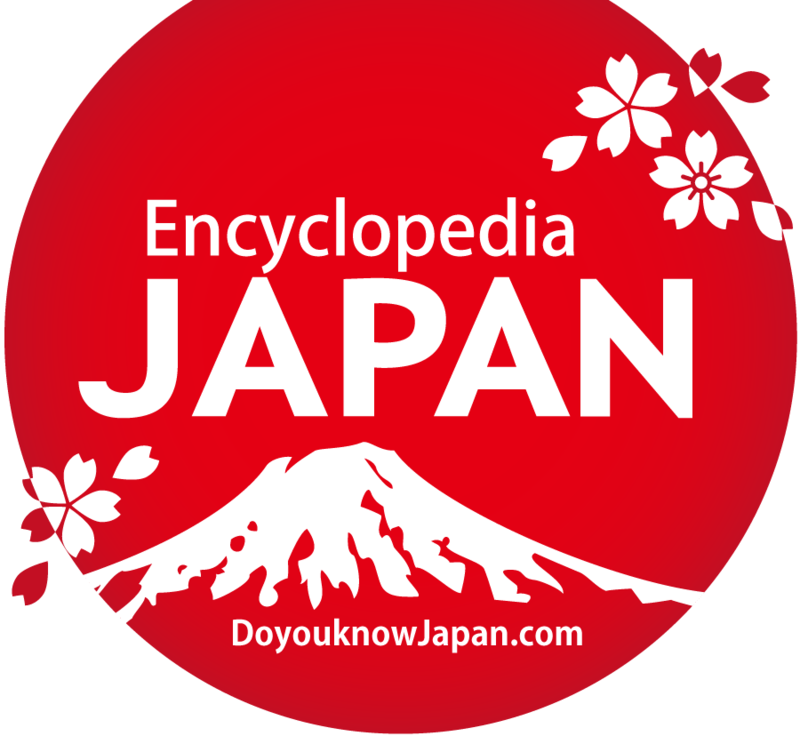 This problem was finally settled by changing Edo to Tokyo as the eastern capital, because many people were opposed to transferring the capital from Kyoto, and around this time, Edo-jo Castle capitulated (refer to the article "Tokyo Tento" (transfer of the national capital to Tokyo)). Since Emperor Meiji visited Tokyo twice the Dajokan moved to Tokyo, and from this point Tokyo was considered the de facto capital. At the local administration level the Meiji government basically maintained the domain system, except they changed the Tokugawa family&apos;s domain from Edo to Sunpu, and they put Kyoto, Nagasaki, and Hakodate under direct control of the government by making them "Fu" (Prefecture). However, the government desperately needed strong control over the provinces in order to develop the construction of modern state, to enrich the country and to strengthen the military. First, in 1869 former governors of feudal domains voluntarily returned their lands and people to the emperor (Hanseki-hokan), and then they were reappointed as governors of domains by the emperor, while feudal lords were separated from their domains. Then, the "Prefectures and Domains" system was established, and important regions and the regions formerly under direct control of the Shogunate were made into prefectures and domains. Yet, the existence of domains hindered centralization and reform throughout the country, and many governors of domains voluntarily asked for the abolishment of the feudal domains because of their constant financial difficulties. Therefore, on August 29, 1871, the leaders from Satsuma domain and Choshu domain abolished feudal domains and established prefectures instead (Haihan-chiken), and the modern prefecture system of Japan was established (at first, there were 3-fu and 302-ken, and soon after the system was organized to 3-fu and 72-ken), and then the system of dispatching the prefectural governors from central government was implemented. Because the region name from the Ritsuryo system was not used there are many regions in which the city name became the prefecture name. There was no remarkable objection except that Hisamitsu SHIMAZU in Satsuma Domain complained about the system (the reasons why there were so few objections are that it was difficult for each domain to oppose the already organized central military system; governors were not able to deal with the serious financial problems in their domains; and former governors of feudal domains were assured their position and properties as nobles). It can be considered a miracle that the ruling system of Japan was changed quickly and dramatically by the Meiji Restoration. Finally, due to the accomplishment of centralization after the abolition of feudal domains and establishment of prefectures (Haihan-chiken) and the reform of the system of Departments of State, it was possible to begin reform of the old Shogunate system. 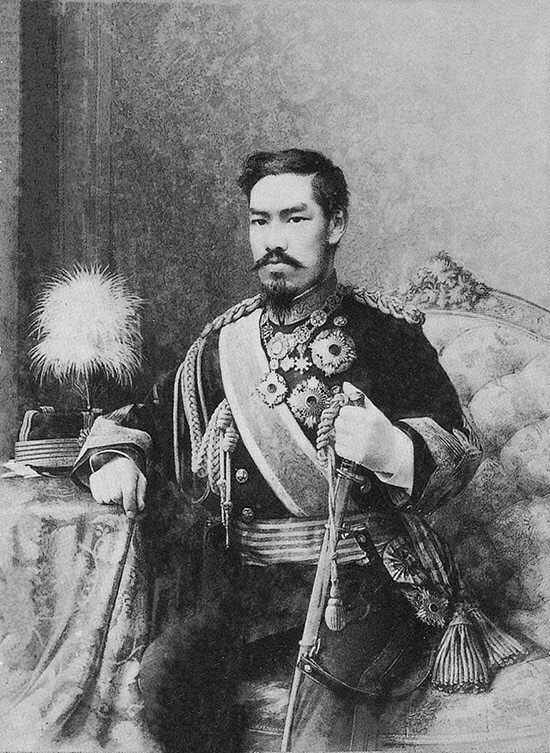 The reform of the Imperial court was implemented at almost the same time, and in this reform, a number of positions from the former imperial court, including court ladies, were abolished, and palace staff mainly consisting of &apos;warrior class&apos; educated Emperor Meiji so he could become fit for the role of a militaristic reform leader. Although Emperor Meiji was in poor health when he was a child, he recovered thanks to the education by warrior class palace staff, and then he learned how to be a western-style constitutional monarch. Finally, he became fit to be the head of the "Meiji State. "For example, he attended all the Privy Councils, and he also played an important role as an arbitrator of political situations during the regular prime ministers&apos; resignations and change, as the constitutional politic was immature soon after the Diet was established. 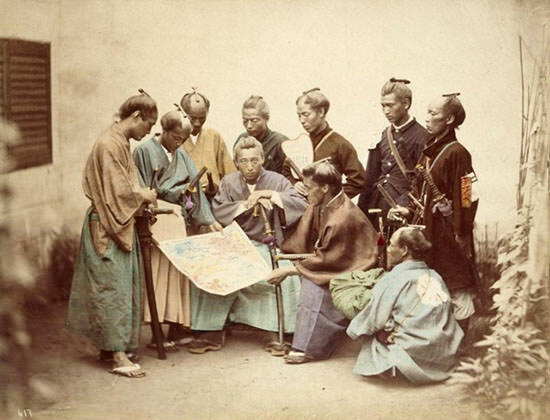 Regarding the class system, the government advocated equality of all people, abolishing the hierarchy of samurai, farmers, artisans, and merchants under the Edo Shogunate, and changing former samurai class to the warrior class and the rest of classes to commoner class, whereas they gave the privileges of nobility to former court nobles, feudal lords, and some of the Buddhist monks so as to put them under the control of the Ministry of the Imperial Household. Also, the restoration government dispatched the "Iwakura Mission," of which Tomomi IWAKURA was the chief envoy, and Toshimichi OKUBO, Takayoshi KIDO, and Hirobumi ITO were the vice envoys, to Europe and the United States, whereas the members of the "Rusu-Seifu" (the temporary government while heads of the government were away) like Takamori SAIGO, Kaoru INOUE, Shigenobu OKUMA, Taisuke ITAGAKI, Shinpei ETO, Takato OKI, advanced many reforms one after another. The members of the "Rusu-seifu" mainly reformed the educational system, the land-tax system, the conscription ordinance, the calendar (they adopted the Gregorian Calendar), the administration of justice, and introduced rules allowing freedom of hairstyle and banning the carrying of swords. However, these rapid reforms had many contradictions and many warrior-class people and farmers were unsatisfied, and it is said that these reforms led to "Seikanron" (the policy of conquering Korea by military force). IWAKURA and OKUBO dismissed the idea of "Seikanron" when they returned from western Europe, and then these reforms were organized and the government established the Ministry of Home Affairs led by Okubo. 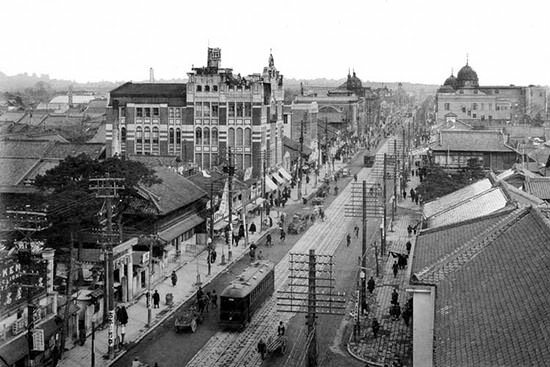 At the same time, the atmosphere of new era "Meiji" was created by the civilization and enlightenment of people, the popularization of eating meat, and the opening of the railway. 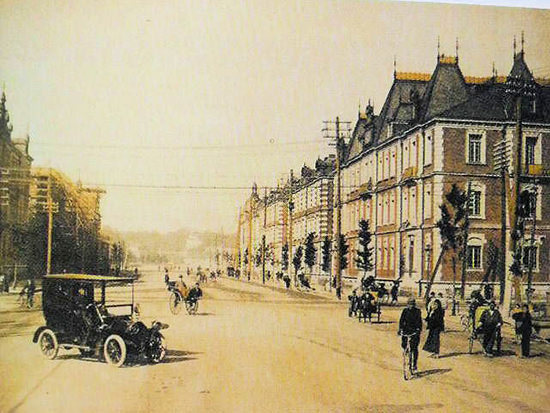 In economic and industrial areas, the government began leading industrial development, and Western industrial technology was adopted, such as the establishment of government-owned factories including Tomioka Silk Mill under the slogans "Fukoku Kyohei" (enriching the country and strengthing the military) and "Shokusan Kogyo" (encouraging building of new industries). The financial system was also revised, changing the currency system of the Shogunate period and adopting the "yen"as the currency unit in 1871 (refer to the article of the "New Currency Regulation"). Also, the capitalistic financial system was organized, including the foundation of the Bank of Japan in 1882, formerly the National Bank of Japan under the National Bank Act, which dominates the right of issuing currency as the central bank. 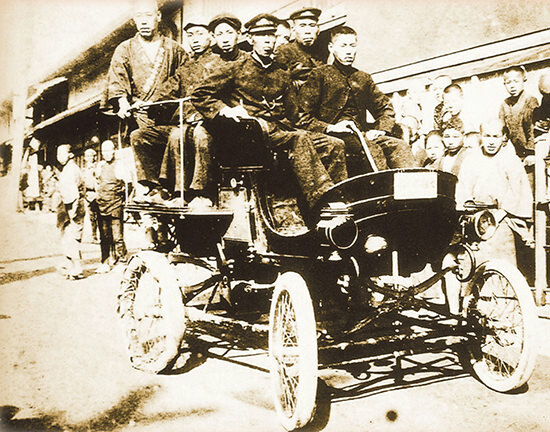 The postal system, the telegraph network, and transportation by railway and ship were consolidated as one distribution system (Nippon Yusen Company was established after the competition between the Mitsubishi Combine, the private sector, and the Kyodo Unyu Company, the national policy concern). The nobles, who received money called "Chitsuroku" when losing their job, invested their money in these economic activities. 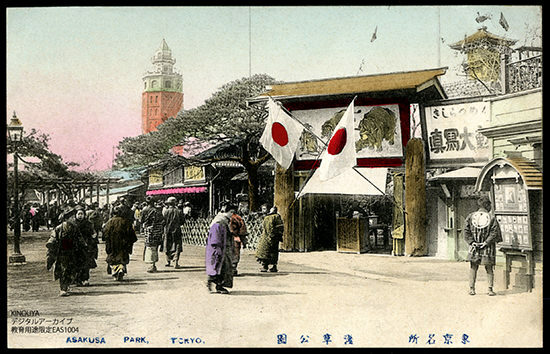 The developed systems of western civilization were positively adopted in this reform, and in this process foreigners called "Employed Foreigner" were hired in various areas including technical assistance, education, consolidation of the organization of the central government, and military systems, to help Japan build a modern state. Since the goal of the religious policy of the Meiji Restoration was to restore the era when Shinto and the state were united, the government put Jingi (the Department of Shinto Affairs) at the top of Seven Departments in the "Office Organization" law, which was enacted on February 21, 1867, and proclaimed the "Edict of Separation of Shinto and Buddhism" in April of that year. The gist of this Edict was not to reject Buddhism but to separate Shinto and Buddhism from the syncretism that existed until the Edo period, but this reactionary movement was strongly rejected by the anti-Buddhist movement, who regarded Buddhism as the imported religion. On the other hand, the new government maintained prohibition of Christianity. 140 Christian leaders were forced to move to Hagi-city (66 people), Tsuwano-city (28 people), and Fukuyama-city (20 people). Also, 3,000 Christians were forced to move to ten domains including Kanazawa domain on January 8, 1870. However, because Japan were castigated by the world due to the Edict of the Prohibition of Christianity when they visited Europe and the United States in December, 1871, the members of the Iwakura Mission reported that the prohibition of Christianity could be an obstacle to negotiating the revision of the unequal treaty. Therefore, Kaoru INOUE, who was a senior assistant minister of the Ministry of Finance, proposed the remission of Christians in February, 1872, because he was engaged in the negotiation of the revision of the unequal treaty when he was in the government of Nagasaki Prefecture. The conservatives in the government opposed it because they thought that allowing Christianity could be an obstacle to establishing Shinto as a state religion, and because they doubted Europe and the United States would accept a revision of the unequal treaty immediately even if they lifted the ban on Christianity, but also because the religious world and people opposed it because they considered Christianity as "Heresy,", but in any case the government lifted the ban on Christianity and announced it to foreign countries on February 24, 1873. Christians who had been forced to move to other domains returned to their hometown and this problem was finally solved. The biggest goal for the new government was to catch up with powerful western countries, and for this reason, they had to solve the problem of the unequal treaty signed in the Shogunate era as soon as possible. The purpose of the Iwakura Mission was not only to do research of the systems of western Europe but to make primary arrangements for revising the treaty, and in fact, the negotiation of the revision was prepared. However, it was still too early because western countries did not consider Japan to be a modern country and ignored Japan. Because of this, although the government proceeded with various policies such as the Westernization policy in order to be equal to western countries, it took a half century to revise the unequal treaty. On the other hand, the new government, who reflected on the failing of this treaty, tried to stand on more than equal footing with Asian countries. In 1871, the government concluded the equal treaty with Qing called the "Japan-Qing Treaty of Friendship. "In 1874, the government dispatched the army to Taiwan after a Japanese person from Miyakojima Island was murdered in Taiwan, and then Japan and Qing decided the ownership of Taiwan and Okinawa. The government came into conflict with the Joseon Dynasty of Korea about whether or not they accept the sovereign&apos;s message, and then "Seikanron" (the dispute about conquering Korea by military force) occurred in 1873, dividing the Japanese government. After that, the Ganghwa Island incident of 1876 led to the conclusion of the Japanese-Korean Treaty of Amity (Treaty of Ganghwa), and in this treaty, Japan recognized the Joseon Dynasty as an independent country and made the Joseon Dynasty open its country to the world. 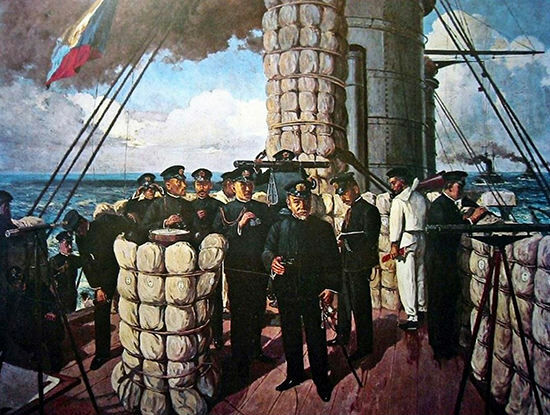 Also in 1875, the government concluded the Treaty of Saint Petersburg with the Russian Empire to determine the border between Japan and the Russian Empire in Sakhalin and the Kuril Islands, which was a mixed residential quarter of Japan and the Russian Empire until then. The reforms of the Meiji Restoration were more or less successful and the Japanese government established the constitutional government and promoted Fukoku Kyohei (enriching the country and strengthening the military) although there were some contradictions in these reforms. 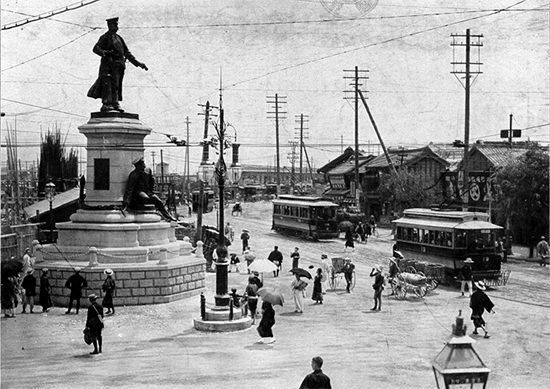 Public estimation of the reforms improved rapidly after the victory of the Sino-Japanese War and the Russo-Japanese war, and foreign countries looked at Japan in wonder and admiration. The reform and independence movement became active in Asian countries especially after the model of the Meiji Restoration. 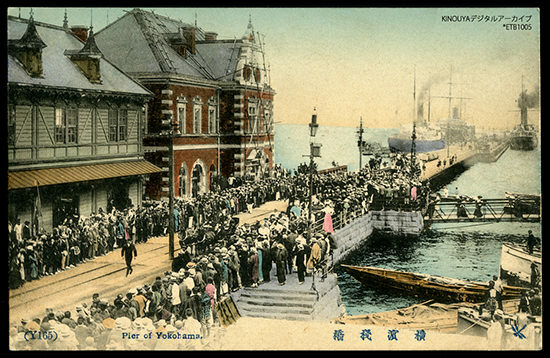 For example, Sun Yat-sen told Tsuyoshi INUKAI, "the Meiji Restoration is the first step of the China&apos;s revolution, and the China&apos;s revolution is the second step of the Meiji Restoration" when he came to Japan as a refugee. However, most of the reforms in other Asian countries were not successful, because they didn&apos;t understand that the Meiji Restoration was a comprehensive reform including an administration system, an educational system, industry, and finance, so these reforms were just formal or &apos;top-down&apos; reforms looking at just one aspect of the Meiji Restoration. The examples of unsuccessful reforms are as follows: the Imo Incident and the Gapsin Corp in Korea; the Hundred Days&apos; Reform in Qing; the Persian Constitutional Revolution in Iran; and the Reform of Sergei Witte and the Reform of Pyotr Stlypin in Russian empire (Regarding the movement of the reforms in Korea, refer to the article of "Kim Ok-gyun," and regarding the reforms in Qing, refer to the articles of "Guangxu Emperor" and "Huang Zunxian"). The examples of successful reforms are as follows: the Reform of Carlos Antonio López in Paraguay; the Reform of Chakri Dynasty in Kingdom of Thailand; the Reform of Kemal Ataturk in Turkey; the Egypt Revolution of 1919; and the Reform of Benito Juárez in Mexico. 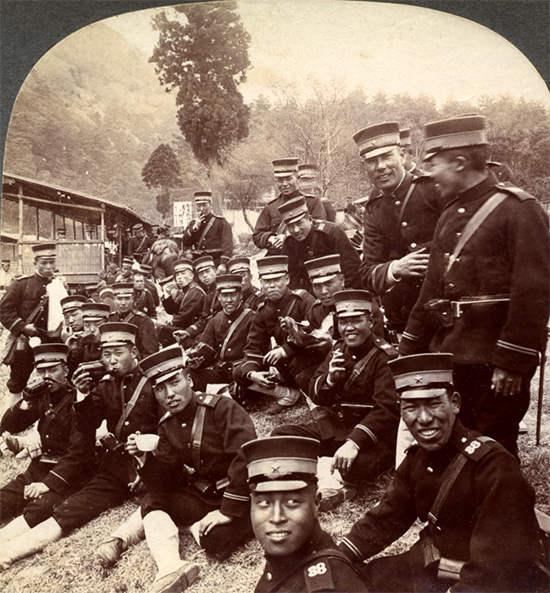 The Meiji Restoration in Japan was a model for the modern revolution of the various Asian countries which were suppressed by powerful western countries, but Japan also received resistance from them because Japan itself became a powerful imperialistic country trying to obtain lands and interests. It caused the anti-Japanese movement in Korea and China. However, because Japan became one of the powerful countries due to the Meiji Restoration it was one of few Asian countries which didn&apos;t become a colony. 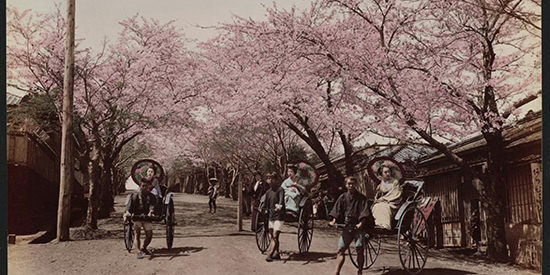 In a recent historic study of Japan, the scholars try to identify the reason why only Japan&apos;s revolution to modernize the country succeeded, whereas most Asian countries failed to modernize, or found it impossible to modernize. Some of the reasons for the success of the Meiji Restoration are that Japanese people in the Edo period worked hard, were well educated, and abided by laws, and they had enough knowledge to accept modern rational scientific spirit. These reasons led to a re-evaluation of the Edo period.